Ivan Nikolaevich Kramskoy began his career as a clerk in the Duma. From the age of sixteen he had a passion – to retouch photos, bring them to perfection using watercolors and carcasses. Therefore, his next job was the service of the photographer Danilevsky in Kharkov. Later he went to Petersburg, where he continued to earn a living by retouching. And only at the age of twenty, he finally entered the Art School. The love of drawing human faces was his main passion as an artist. During his life, Ivan Nikolaevich created many portraits of famous contemporaries. The fate of the Russian writer and diplomat Alexander Sergeevich Griboyedov was incredibly complex and tragic. He was born in a noble wealthy family, received a good education, entered the diplomatic service. At thirty-four, as ambassador of the Russian Empire to Iran, he was killed during a massacre at the Russian embassy in Tehran. An enraged crowd of hundreds of thousands tore everyone who was in the building, including Griboedov. Alexander Sergeevich lived a short life, and his lifetime portraits were almost gone. There is a drawing made by a colored pencil by the artist M. I. Terebenev. 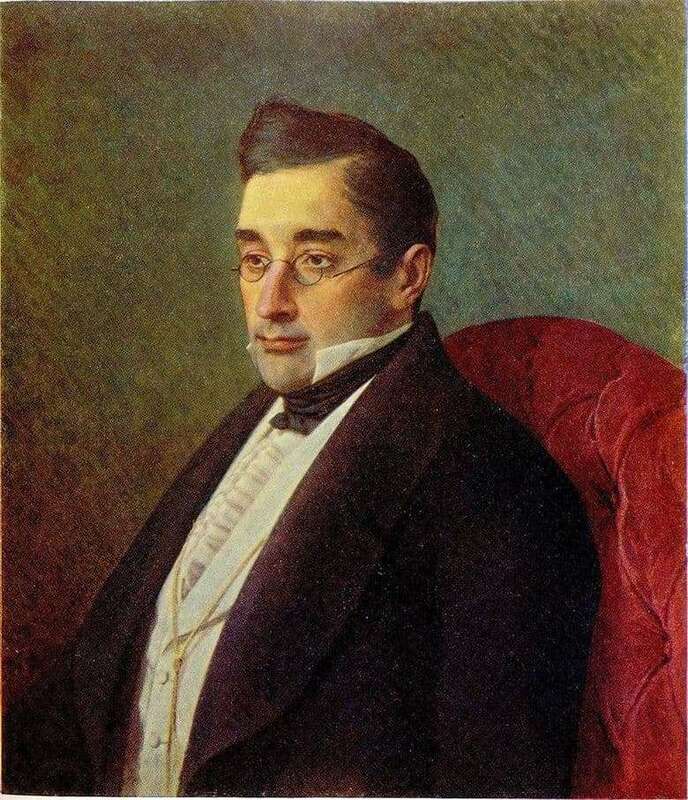 There was also a portrait of Griboyedov by P. A. Karatygin – but, firstly, he was drawn from memory – and secondly, he was not preserved, only a lithograph from him remained. Also, during the life of Alexander Sergeevich, his namesake, A. S. Pushkin, drew him twice; but these are just pen sketches. Other portraits of the diplomat were executed after his death. Griboyedov in the Kramsky portrait appears before the viewer as a serious, highly intelligent man with regular features. Brown eyes, hidden behind thin glasses, look thoughtfully and calmly into the distance. Wide eyebrows, a straight nose and thin lips, easy unshaven – the artist managed to create a collective image, which today is considered the most accurate and realistic portrait of Griboedov. The writer is dressed in a dark frock coat and a white shirt, and a dandy scarf is tied around his neck. The burgundy chair in which Alexander Sergeevich sits, and the noble shade of wallpaper complete the image.